Happy Monday readers, I hope you had a great weekend (I'm sorry there wasn't a post on Saturday). Today I'm going to be sharing with you my favourite British comedies, now I love comedies from different countries as well but there is something unique about British humour that I love. These aren't in any particular order as I love them all equally and for different reasons. 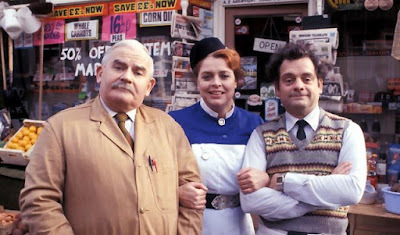 Ronnie Barker was one of the giants of British comedy and this is one of my favourite series he starred in. Ronnie Barker stars as Arkwright, a mean, greedy but loveable shopkeeper The show follows the daily life of Arkwright and his constant pursuit of the nurse who lives opposite the shop. It's such a lovely show it's one of those shows that makes you fell really safe and happy. This is definitely one of the cleverest British comedies. Each series is set in a different historical period (you can give the first series a miss as it's not as great as the ones that followed). 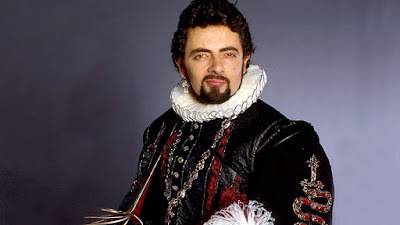 Rowan Atkinson stars as Edmund Blackadder and is insanely brilliant. Come on, there was no doubt that this was going to be on the list. Arguably the best British comedy of all time. 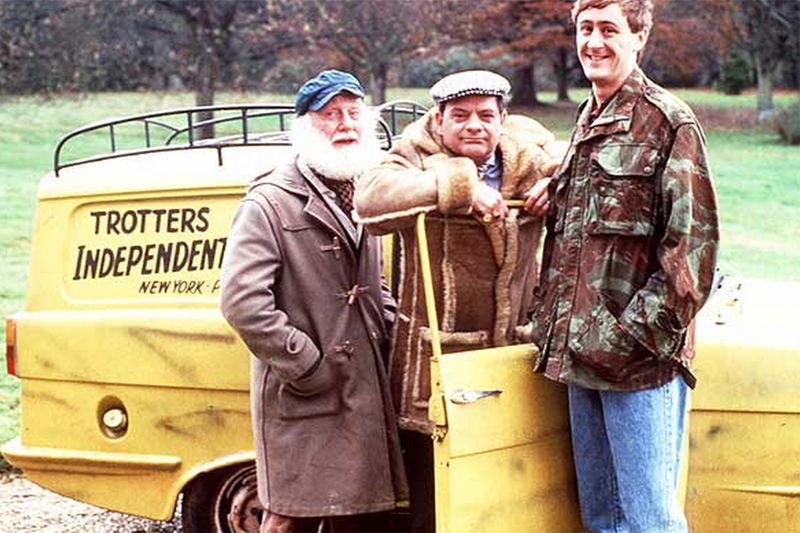 OFAH stars David Jason (another British comedy giant and national treasure) as Derek Trotter a market trader who dreams of becoming a millionaire. The show follows his and his brother Rodney (Nicholas Lyndhurst whose amazing acting is sometimes overlooked) and their schemes to get rich. 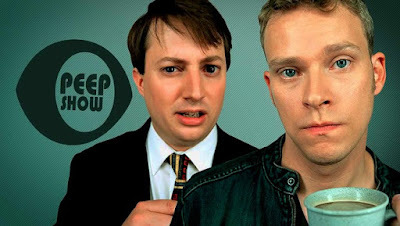 I never thought I would like Peep Show so much as it is a "newer British comedy" and most of the comedies I love come from the 80s but Peep Show is excellent. Peep Show is about two friends and flatmates Mark and Jez who are both extremely dysfunctional and you find yourself relating to them more than you probably should. I feel Red Dwarf gets overlooked sometimes but it is so funny and really well written. 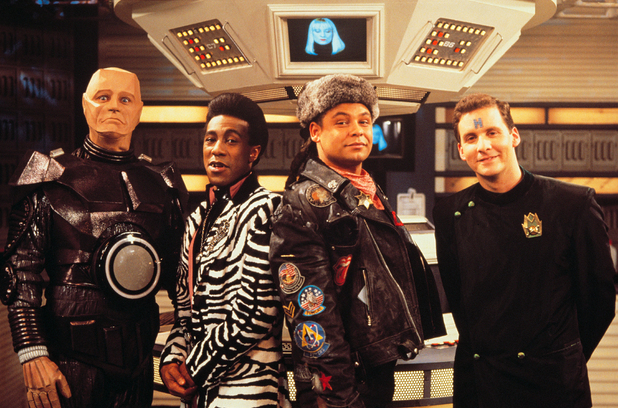 Red Dwarf is a Sci-Fi comedy that follows Dave Lister who is in deep space trying to find his way back to Earth. His only company is a hologram of his dead crew member, an android and a creature that evolved from Lister's cat. The show is incredibly funny although it did lose it's way so I would say stop at series 7 but it is amazing up until then. It's hard to do these shows justice as the reasons which make them so brilliant are hard to describe so I recommend watching them and finding out for yourself. There are loads of other amazing British comedies out there too but these are the ones I wanted to write about today. I hope you enjoyed this post. Do you like British comedies? Which is your favourite? Blackadder is such fun, I love the mix of sophisticated humour and out-and-out slapstick silliness! I know its so great isn't it? Thanks for stopping by! I loved Dad's Army too! Thanks for stopping by! Red Dwarf and Bottom are so good! Thanks for dropping in! Same! I love rewatching it, it makes me so happy! Thanks for popping in lovely! Ah, I'm going to have to check these out! I love British EVERYTHING! Haha. Obsessed. P.S. - I've thoroughly enjoyed looking through your blog, you have such good content! I definitely recommend them, I hope you enjoy! Aw thank you so much I'm pleased you enjoyed my blog. Thanks for stopping by!